House, M.D. 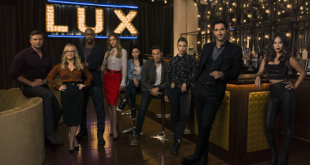 scribe Kath Lingenfelter tells Blogcritics the latest scoop on season eight and more. Kath Lingenfelter has been writing for House, M.D. since last season. She wrote “You Must Remember This,” and then with long-time House scribe Peter Blake wrote the controversial season seven finale. Active on Twitter, she is known to be accessible to fans. I interviewed her twice last season, and earlier this week, we chatted by phone the other day in advance of her next episode, the mid-season premiere “Better Half,” which premieres Monday night at 8:00 p.m. ET on FOX. We discussed everything from goings on in the writers’ room on House to what to expect for each of the characters over the next few months—as well as the long hiatus and the fate of the series. She also revealed (in what I believe is a Blogcritics scoop) that an upcoming episode will be directed by actor/director Peter Weller (yes, he of Robocop fame). All of these topics are on for Monday night’s post-episode LiveChat Event, which follows the East Coast airing of House, M.D. Spoilerphobes beware. There are some mild spoilers ahead for “Better Half” and other upcoming episodes, so consider yourselves warned! “Better Half” tackles the subject of early onset Alzheimer’s and its effect on a marriage. Lingenfelter explained that she “had had an idea,” for another episode on memory. You might recall that her first House episode “You Must Remember This” also explored the nature of memory, and centered around a woman who remembered everything. Lingenfelter explained that she’s always had a “deep fascination with the human brain,” so it made some sense to go back to that subject, this time dealing with memory loss—Alzheimer’s disease. To prepare for the episode, Lingenfelter researched what “it’s like for the family when a loved one has Alzheimer’s—specifically, early onset Alzheimer’s.” Noting that the youngest reported case of early onset Alzheimer’s was a 17-year-old patient, she explained that while the disease mainly affects people in their 50s and 60s, it can happen much younger, even those in their 30s. Although “Better Half’s” patient of the week is a man with early onset Alzheimer’s, “the story more or less is about his wife and what it’s like for her. Is it fair for her to give up her dreams of having a family, of having children? You know,” she added, the wife is “still very young. So, does she deserve to have a ‘normal’ life?” Should she put her husband in a facility and move on? Lingenfelter mentioned that while writing the script, a bit of real life intersected with the story when someone called into televangelist Pat Robertson’s television show, asking these same questions. Robertson’s response got him into some hot water with the press by suggesting that Alzheimer’s is like a kind of death, and that it would be okay to divorce a loved one under those circumstances. “The press ran away with it,” said Lingenfelter. As most regular viewers are aware, House has been on an extended hiatus; no new episodes have aired since mid November and episode eight. So when the writers returned after winter break, they hit the ground running. “We’ve been meeting with all the writers all together,” which is a change from the typical House creative process, which is collaborative, but just not to this degree. “It’s been really great,” she said, “because it’s just different to have access to that much information about what’s going on with the other episodes sort of all at once and where the other writers’ heads are at. And I think, certainly, it’s going to make for a very intense six episodes at the end of the season,” which is what the writers are working on now. Shore has always been involved in the scripts. “Inevitably, when we get to the part of the process where we are working with David in his office and he is doing rewrites, he is the gatekeeper of the character of House. And anytime we’ve veered off of the template, or beyond what he thinks is right for the character, he pulls us back in.” But it’s never been quite so early on in the process. “That’s been great,” Lingenfelter added. “But you know, it’s a room full of, for the most part, writers who have been writing the show for five, six, seven years, so they’re not huge course corrections, they’re tiny adjustments.” The writers all know the characters very well by this point. Of course the question on everyone’s mind is whether House will be back next year for a ninth season. Lingenfelter along with the rest of the House team still don’t know any more than we do. “I wish I had an answer,” she admitted. When I talked to writer/executive producers Garrett Lerner and Russel Friend last May about planning for the series eventual end, they told me that deciding on a ninth season was something that hopefully would be one of the first orders of business at the start of season eight. I wondered what kind of a timeframe the creative team needed to really wrap it up—if indeed this is the final season—and give the series a decent send off. Right now the writers are cracking episodes 18 and 19. Episode 19 is being written by John Kelley, along with Marqui Jackson. And, Lingenfelter is writing episode 20 with David Hoselton. She was excited to learn just recently that Peter Weller is going to direct that episode. “Yeah, I’m going to totally geek out in his presence. So that’s fun,” she said. One of the things we haven’t seen much of this season is House’s more introspective, reflective side—that wounded Byronic hero, that even Hugh Laurie recently noted resides at the core of his character. As the season progress, said Lingenfelter, “we are going to see House go through a lot. And I think certainly, you can define him as introspective—but also combative—in 11, and in 12, for that matter.” For the remainder of the season, she noted, we’ll observe “the push-pull House of wanting to isolate himself and his feelings from the rest of the world and struggling to engage with the people around him. But it’s fractional,” she added, “because of Shore’s maxim that people don’t change. At the same time, a lot has happened over the years to this character, and so there are small adjustments that I think, certainly, fans who have been with us will appreciate. So tune into House Monday night on FOX 8:00 p.m. ET for “Better Half,” and then be sure to pop back over to Blogcritics for our LiveChat event immediately following.